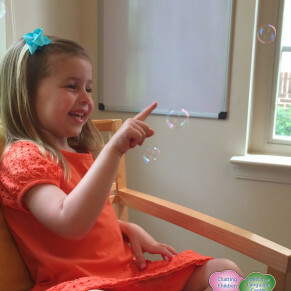 Chatting Children Speech and Language Center is a pediatric speech-language therapy practice committed to helping children develop and families thrive. Our goal is to treat children with communication disorders and educate families on how to incorporate speech and language skills into daily living. Our primary goal is to help every child be successful academically and to be an effective communicator. 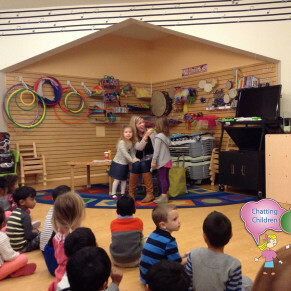 Chatting Children Speech and Language Center believes that children get the most out of therapy when it is fun, rewarding and meaningful with an appropriate balance of child-initiated and adult directed activities. Our treatment environment is designed to foster growth by building on your child’s strengths, while supporting development to the next level. All sessions are conducted using various treatment approaches because we believe each child is unique with individual strengths. We recognize that children can be unpredictable. We understand the need to be flexible to adapt to a child’s mood or specific needs on any given day. Our family-centered approach aims to educate parents and caregivers. Weekly homework activities are provided to aid with carryover of specific skills. The homework children are required to do is play-based and motivating and can be seamlessly integrated at home and/or at school. My son had a wonderful experience at Chatting Children. We were so pleased with his therapist, Julie. She was patient and kind with our son and she made each session fun. We had previously started with another therapist but after seeing little progress, we sent our son to Chatting Children. It was a great decision, as he learned more in one session there than he had in multiple sessions with the former therapist. Our son's progress was fairly fast and by the time he graduated we could hardly remember what it was like when he started out and was only using a few words. We were actually a little sad to graduate since we looked forward to going every week. In fact, my son still talks about Julie and remembers the fun they had. We are so thankful to Julie for all she did. We really can’t say enough about how great our experience was and we would highly recommend Chatting Children to anyone seeking speech therapy. 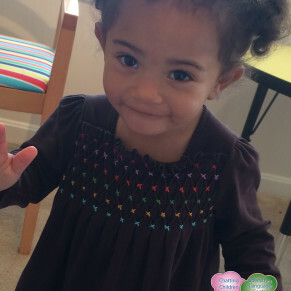 When we began our journey at Chatting Children, my daughter was two-years-old saying about five words. A little over a year later, she is talking all the time and never ceases to amaze us with the words she picks up and the sentences we hear! Going to see Julie is something my daughter looks forward to. She even reminds me to do the homework! Julie's enthusiasm, encouragement, and easy-going personality are contagious. I have recommended Julie to others in the past, and all of those parents have chosen Chatting Children for their speech needs. 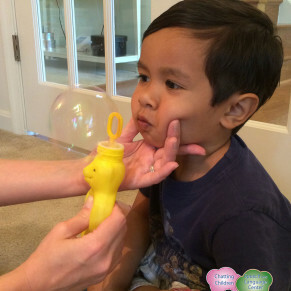 If you are looking for an amazing speech therapist, Julie is the one to turn to. You will not be disappointed! Heather has had such a lasting impact on our son. His receptive and expressive language improvements are largely due to therapy sessions with Heather. He gets so excited when he realizes we are going to see her. Heather has been a wonderful addition to our son’s team of therapists and is always finding unique and fun ways that we can continue therapy at home. I really don’t feel that our son would be where he is today if it weren’t for finding Chatting Children. Thank you so much! I couldn't be happier with Julie Cotter at Chatting Children. My daughter V made steady progress towards goals on a weekly basis. She was given appropriate practice assignments and treatment was well tailored to her needs. She also ``graduated`` within the timeframe we were given at initial treatment. Overall, I was very pleased with the results. Miss Julie was so much fun to work with. She has so many games and prizes so you want to go to therapy. I would tell everyone about her! Julie is a true gem. She has worked with both of my young sons over the past 3+ years. Under her guidance, both boys have made tremendous and heart-warming strides. Julie is highly skilled, bright, thoughtful and always has a big smile on her face. She naturally understands the needs and perspectives of the children with whom she works, and uses this knowledge to teach them most effectively. My sons are always excited to see Julie and always emerge from their sessions with great pride of accomplishment. 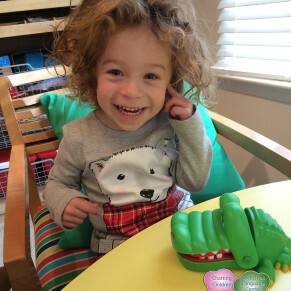 Julie’s work with our son absolutely transformed his speech, AND his personality! He went from a shy, quiet two year old. To an outgoing, engaging little boy who talks all the time. Going to see “Miss Julie” was such a treat for him that it was like a playdate every week. 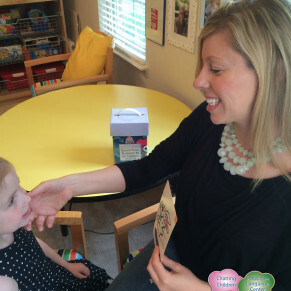 Julie is amazing and we’ve recommended her to several friends seeking a speech therapist. Upon the first meeting with my son, Julie created a fun and trusting environment in which he was able to thrive in record time. Within two weeks of working with Julie his articulation was remarkably clearer. With continued work his clarity and more importantly his confidence has soared! I recommend Julie at every chance I get, she's amazing! I can’t speak highly enough of Julie as a speech therapist. My then five-year-old daughter made significant progress under Julie’s guidance. Julie is patient, professional, hardworking and fun. My daughter actually looked forward to our speech appointments! My daughter is in middle school and started language therapy just under a year ago with Julie Cotter. Julie has been patient, kind, and professional from the very beginning and my daughter looks forward to her sessions each week. My daughter’s results have been positive and she is feeling more confident in school. We would highly recommend Julie Cotter and Chatting Children. Julie Cotter came to me highly recommended from a friend. I am so glad I found her. My 9-year-old son had a lisp saying ``th`` instead of ``s`` and after about 6 months with Julie his lisp was fixed. Julie is effective and fun! The last thing a 9 year boy wants to do after school is more ``schooling`` but I could tell he actually looked forward to going because Julie makes speech therapy fun for the kids with all sorts of games and because of her positive attitude. She motivated my son to practice at home which made a big difference in his progress. 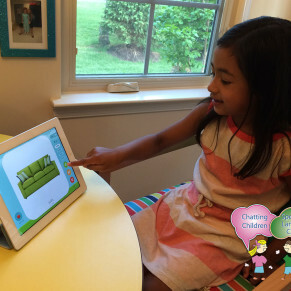 Just like my friend did, I highly recommend Julie of Chatting Children! Heather has been amazing helping our daughter make noticeable progress in her articulation and expressive language. At the age of 5, her vocabulary and articulation was of about a 3 or 4-year-old child. In less than 4 months, our daughter is able to speak about 70% more clearly and in whole sentences. Our daughter is now able to communicate better with others, is not afraid to speak up, and is even speaking more than before. 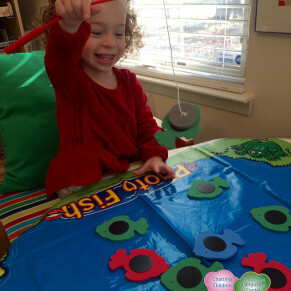 Heather makes the sessions fun and easy for our daughter to learn while having fun. 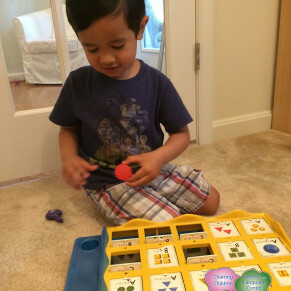 Heather combines games with articulation practice without boring or overwhelming the child. Their office is full of toys, materials, and resources that motivates and encourage our daughter to be involved in the therapy. As a working mom, I also appreciate their appointment punctually and also their flexibility. I also like the materials they provided to take home and practice. We have been to several practices in the area and Chatting Children has been so far the best one for our daughter. We had such a wonderful experience with Julie. My 3-year-old daughter immediately connected with Julie from our first meeting. 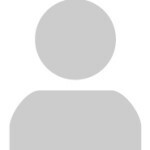 Julie has such a warm and enthusiastic personality, you can see why the kids adore her. 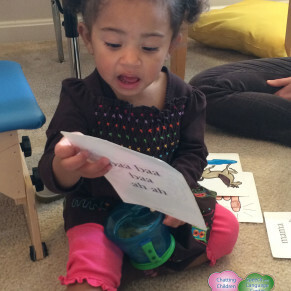 Our daughter's speech improved dramatically during the 6 months of weekly speech therapy. She went from sometimes using two word sentences to seven word sentences! Julie communicated little assignments to practice each week and really kept things fun. I know my daughter enjoyed every minute and I couldn't be happier that we were able to work with Julie. Miss Julie was the best! She made everything really fun and now when I speak, everyone can understand me better. She is awesome and I really liked the prizes too! over three different therapists, Julie was the one who made the lasting impact on my children's speech. We can't thank her enough for the gift of a brighter future for my children. Thank you! My 9-year-old son had never been able to pronounce his ``r`` sounds, but several evaluations in his local public school had stated that they could not help him. Within a few months of working with Julie Cotter from Chatting Children, my son could pronounce his ``r`` sounds almost perfectly! And he was so enthusiastic about working with her every week. She was both extremely positive and extremely effective in her work. We would recommend Chatting Children to anyone! 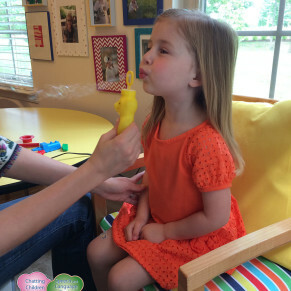 We turned to Julie for help in addressing our 3-year-old daughter’s speech delay. Over the course of two years, Julie worked with us to create and implement a focused, individualized treatment program. Julie’s resourcefulness and her positive, creative approach led to significant and steady improvement in our daughter’s language. Julie made a difference in our family’s life. Our daughter is 13 now and doing beautifully in school and in her social life. We are grateful to Julie for all she did to help us, and we have fond memories of her as a caring presence in our daughter’s life. Our daughter was just over two years old when she started working with Julie. 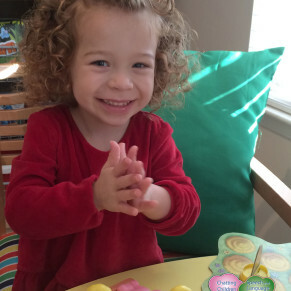 She had been diagnosed with a developmental disorder called speech apraxia. She is now 8 years old, and thriving in every possible way, and doing great in third grade at school. She has come so far! 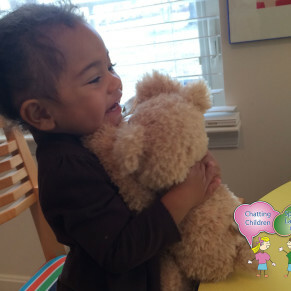 We love her dearly, but particularly for how expressive she is, in her emotions, opinions, imaginative play acting, doll playing, friendships, and reading. None of that would be possible except for the voice that was given to her by speech therapy. We cannot express in words what a gift Julie has given to our family.